The standing committee on transport, tourism and culture also recommended a heavy penalty for the traffic violation and treating deaths due to drunken driving as culpable homicide. NEW DELHI: Concerned over an increase in incidents of road rage, a parliamentary panel has recommended that that licenses to firearms may be restricted in such a way that it should not be carried while travelling in personal motor vehicles in Metropolitan cities and urban areas where traffic jam is the order of the day. The standing committee on transport, tourism and culture in its report on the Motor Vehicles (Amendment) Bill, 2016 also recommended a heavy penalty for the traffic violation and treating deaths due to drunken driving as culpable homicide. The committee notes that road rage is one of the daily phenomena happening in metropolitan cities and urban areas. “Many a time, in road rage, licensed guns are used to kill persons. 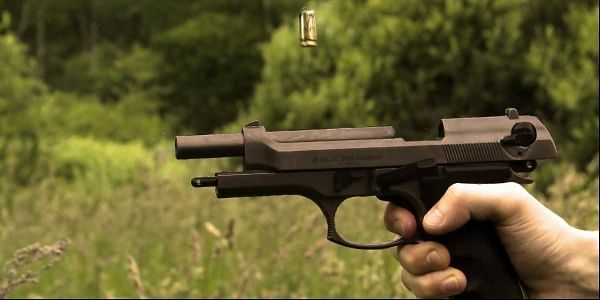 This is happening mainly because licensed guns are carried by persons in the vehicles without any restriction,” said the committee. It further recommended that licenses to firearms may be restricted in such a way that it should not be carried while travelling in personal motor vehicles in metropolitan cities and urban areas where traffic jam is the order of the day. The committee notes and finds it appropriate to increase the penalties for the offence of racing and trails of speed. It feels that the fast driving vehicle is a big nuisance on road and it endangers lives of pedestrians as well as commuters. “The committee feels that the government should formulate the necessary legislation to limit the acceleration capability of vehicles manufactured for use in India,” it added.